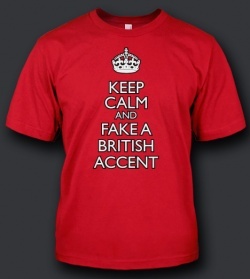 I received the Keep Calm and Fake A British Accent shirt which is just hilarious to read and even think of. And another great example of their tees is Keep Calm and Curry On which is just hilarious in so many ways that I can't even begin to describe. Honestly there are so many hilarious things on these shirts, you are bound to find one that is already an inside joke with you and friends, or even something that is just simply random and funny!